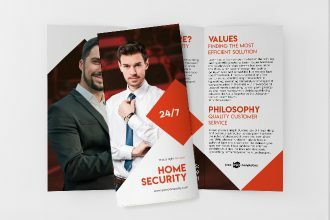 By: Nelly Vinnik posted on August 20, 2018 in Inspiration . 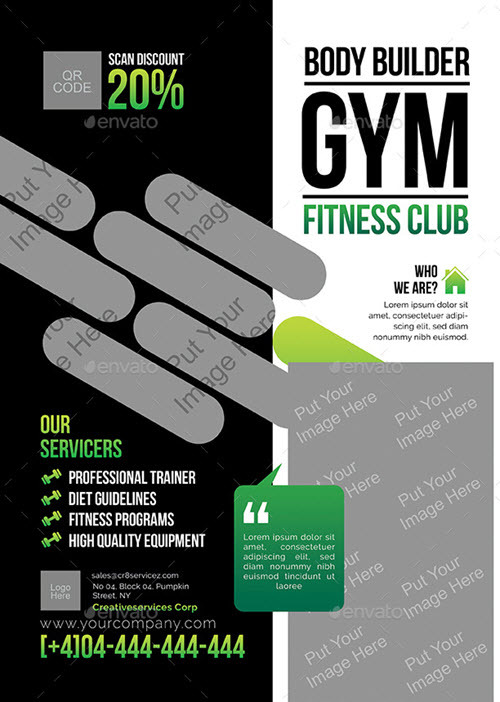 Running a sports club or a fitness centre can become a challenge with such a tough competition in the sports business industry. 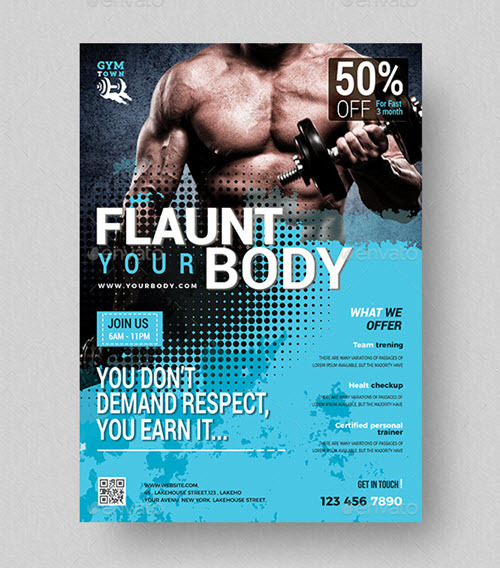 You must regularly spread the word and run promotional campaigns to attract new clients and retain existed ones. 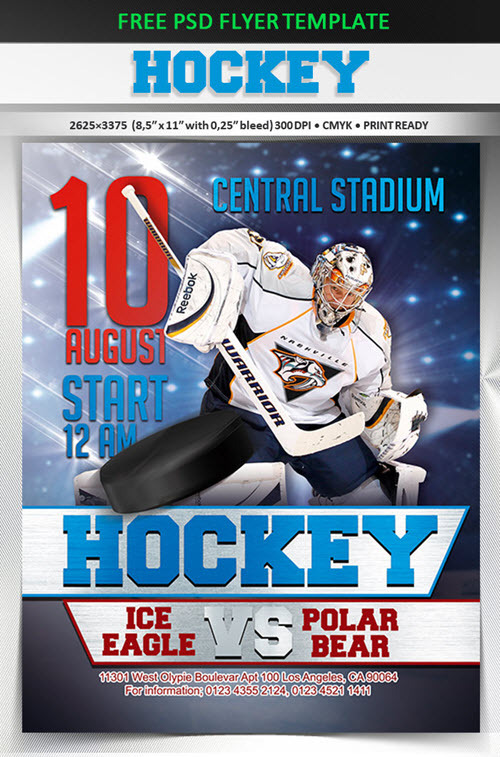 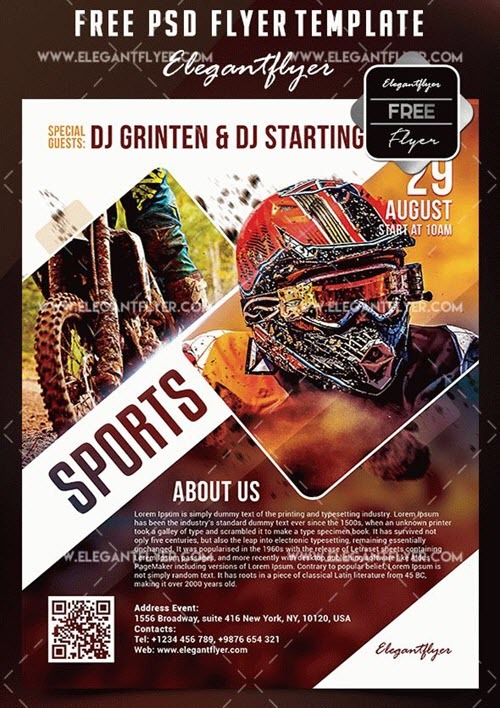 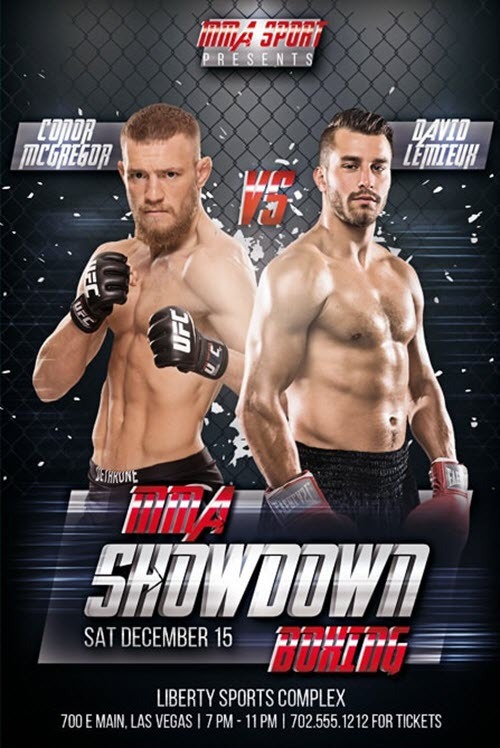 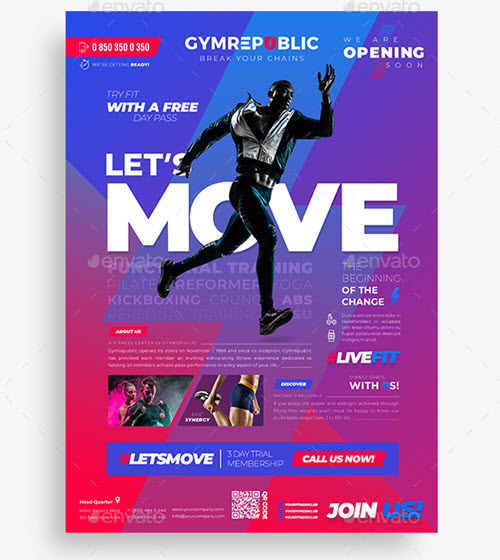 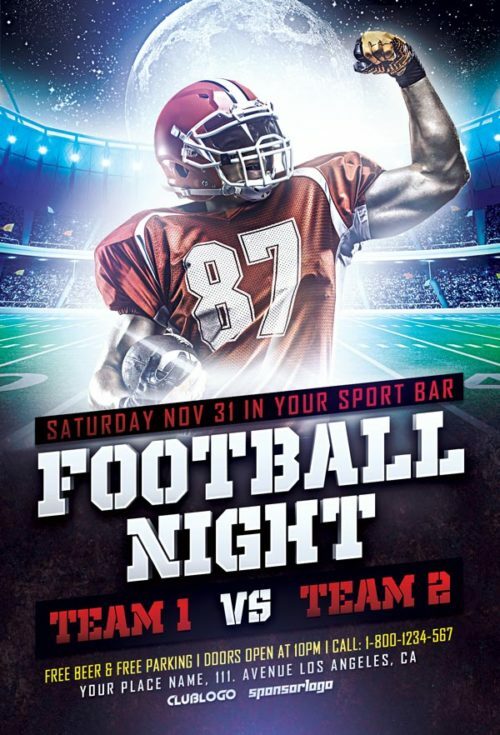 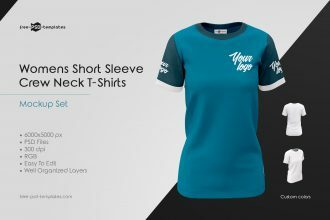 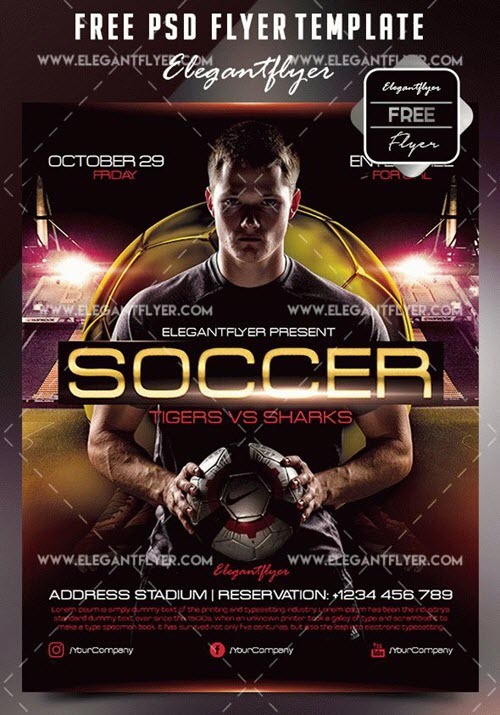 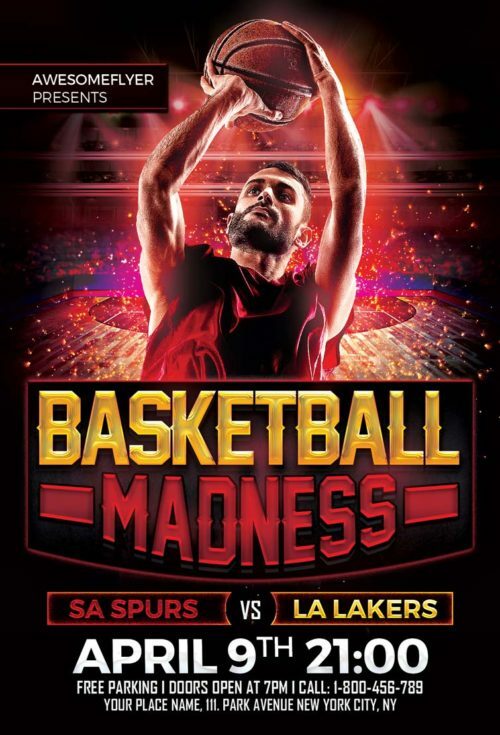 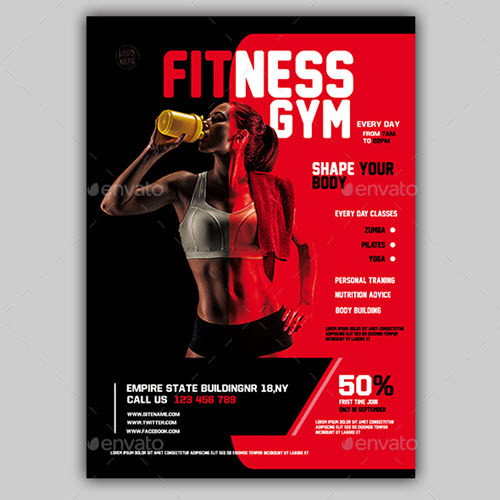 To make the promotional routine easy and effective for you, we have compiled for you the collection of 30+ premium and free sports flyer PSD templates which will help you create multipurpose flyer designs for the promotion of sports events, like football matches, basketball tournaments, boxing fights and other upcoming sports events. 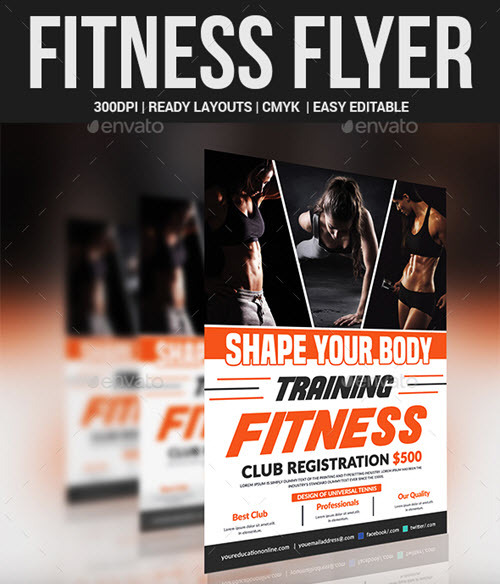 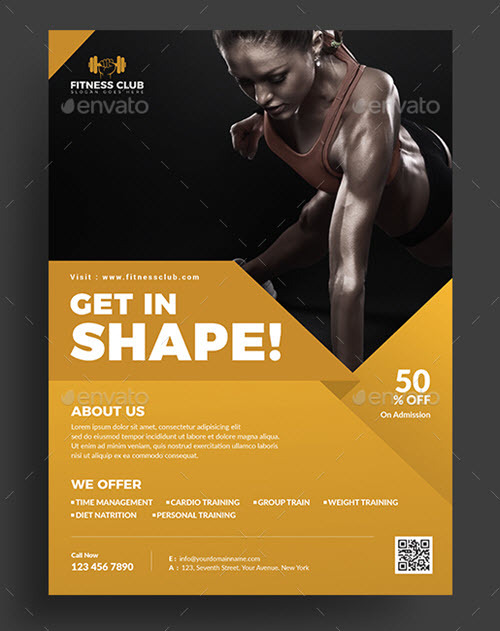 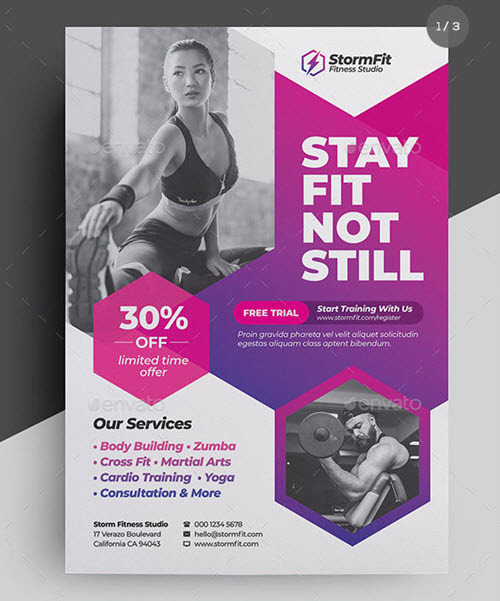 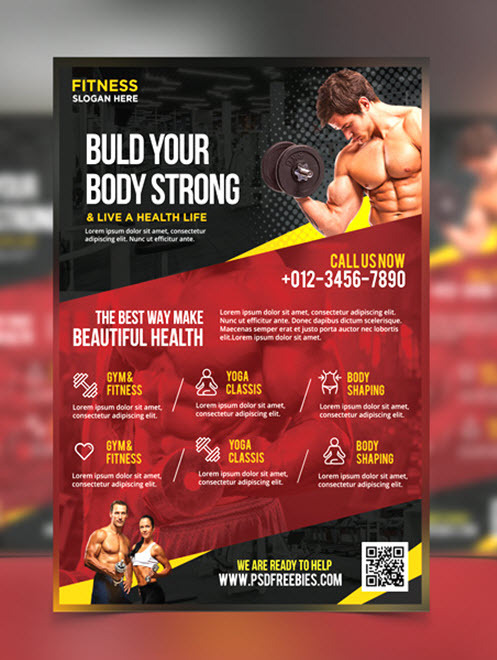 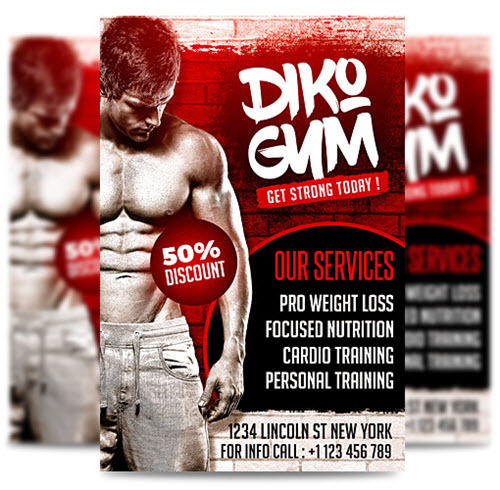 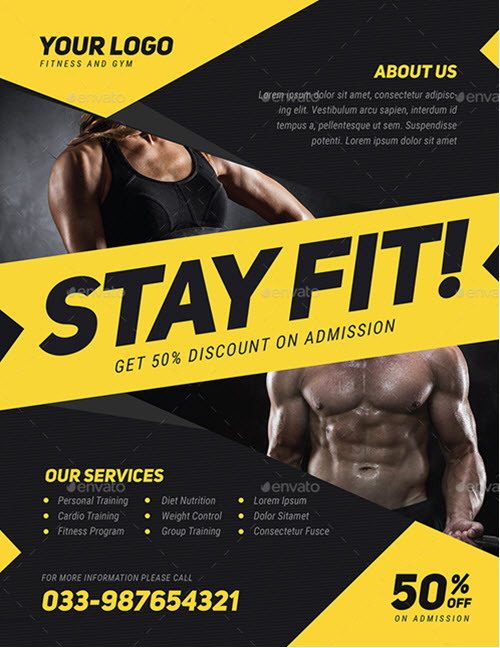 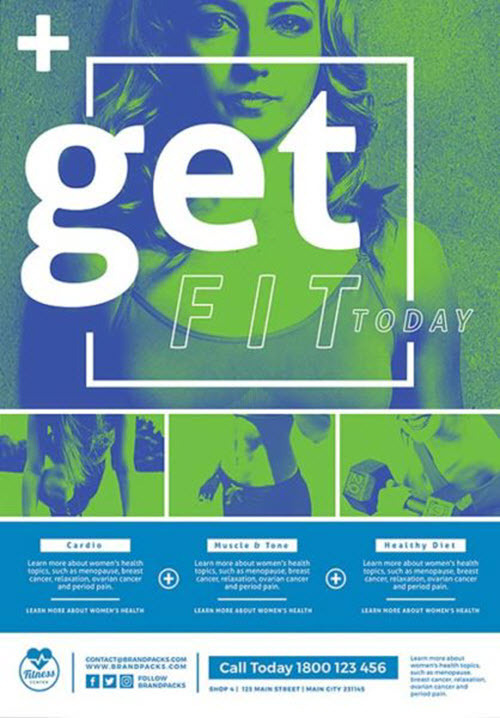 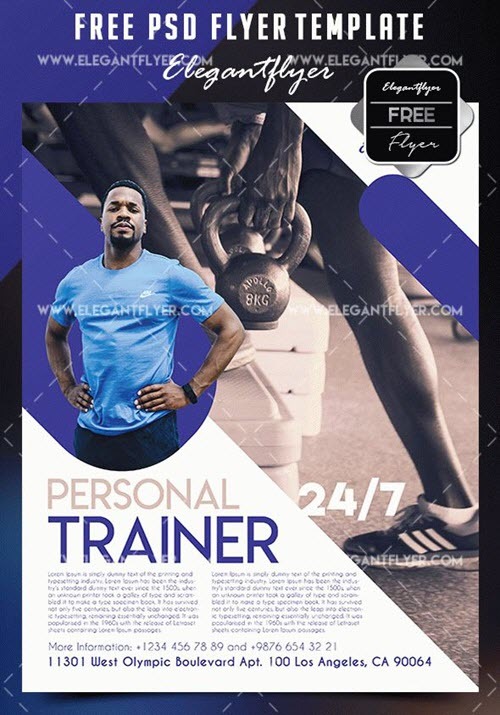 You can also use the below paid and free fitness flyer design templates for the advertising of fitness services, fitness centres or gyms. 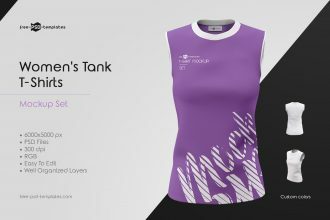 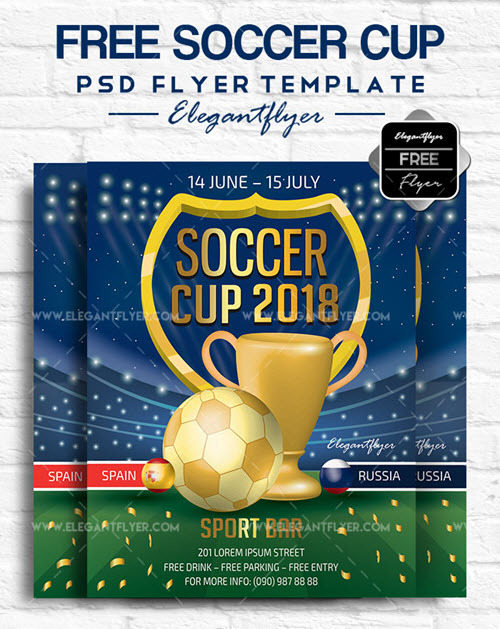 To make your marketing strategy even stronger, you can create more advertising materials using one of the 50+ premium and free exclusive PSD templates for sports business. 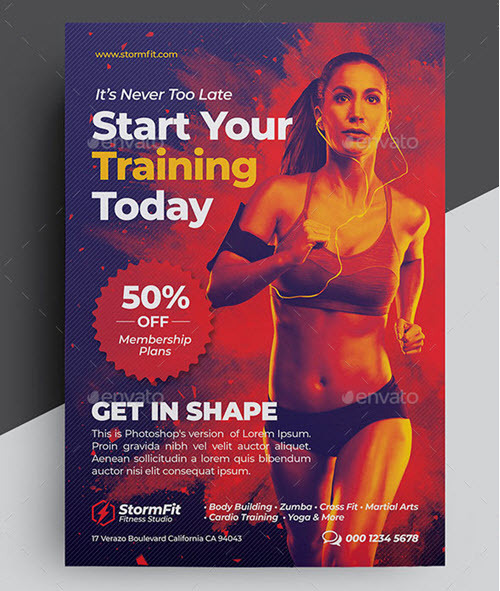 Create sports business brochures, sports dedicated gift vouchers or attractive flyer invitations to get the most out of below promotional templates. 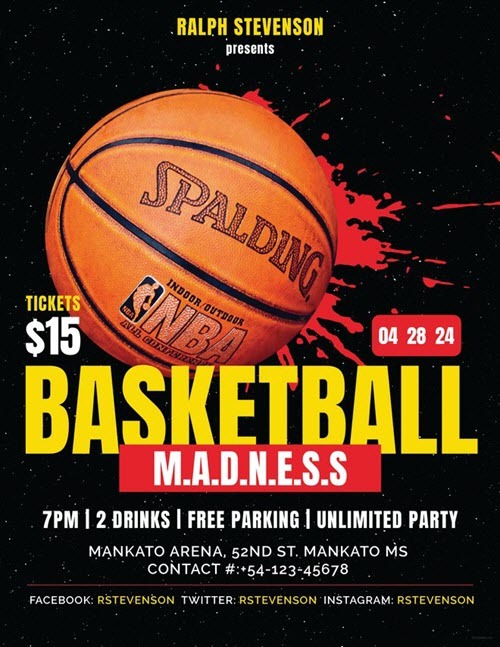 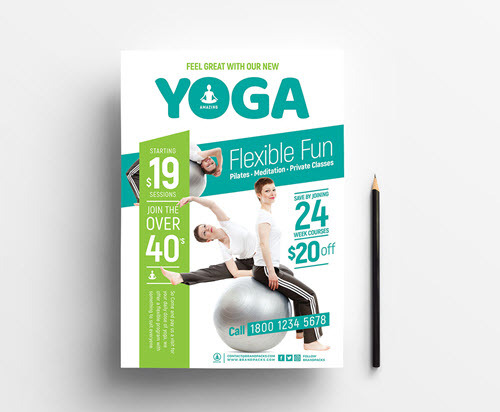 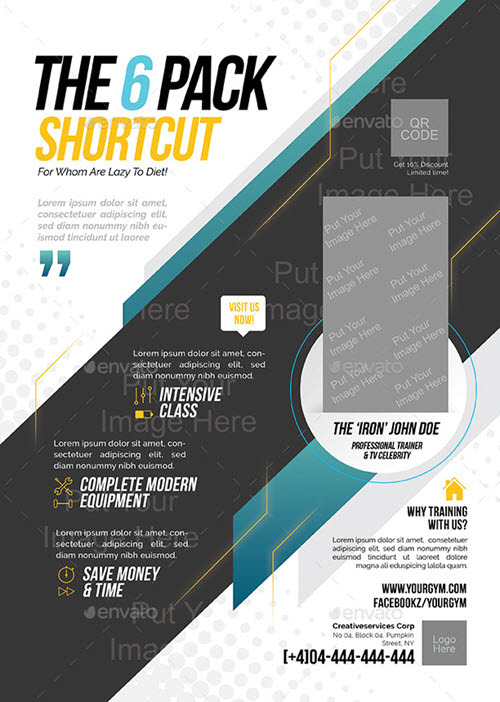 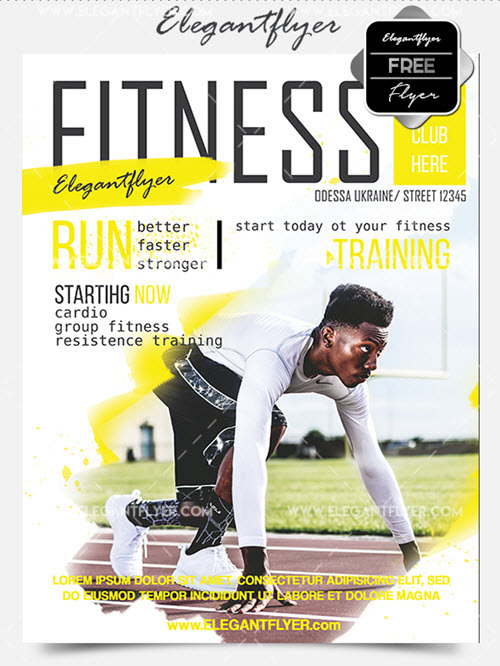 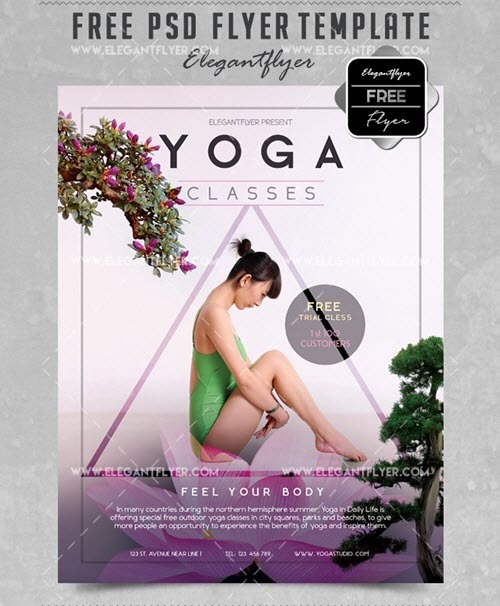 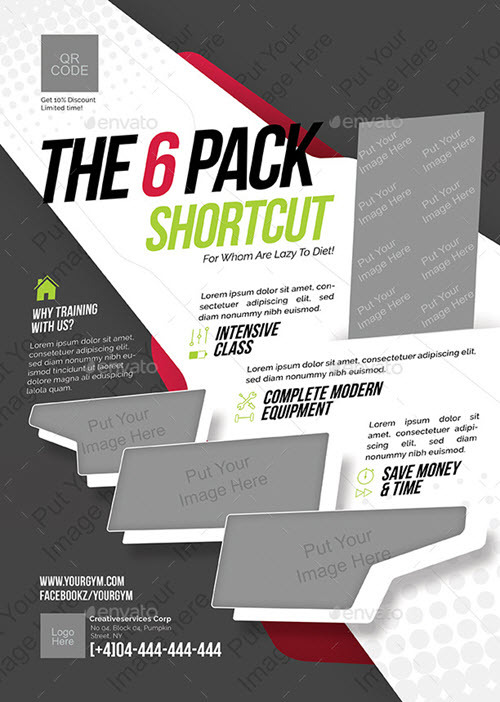 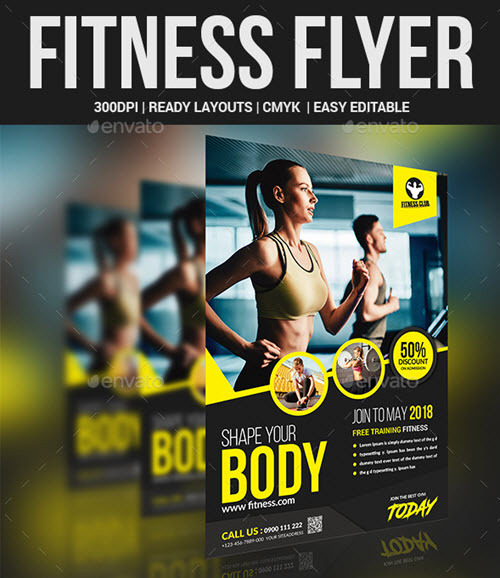 Just a few clicks in Photoshop will turn one of the next flyer PSD templates in a custom, print-ready sports or fitness flyer design. 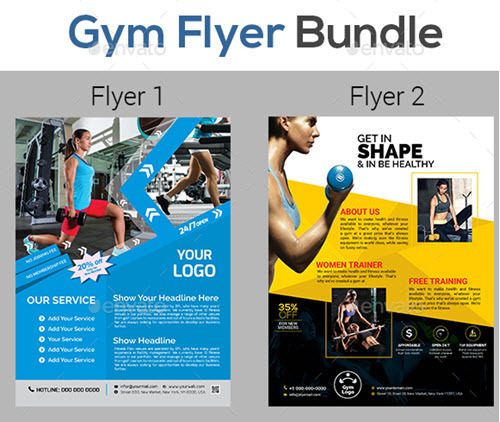 Thanks to simple Photoshop program interface and tools and smart object layers included to each of the sports flyer PSD files you can easily change any design element, be it a text, logo, colour or image: Get Photoshop as part of a Creative Cloud single-app plan for just US$19.99/mo. 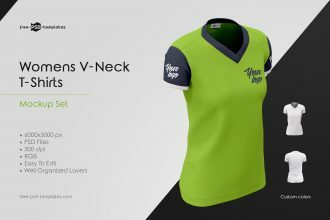 The customization will be completed in a matter of minutes. 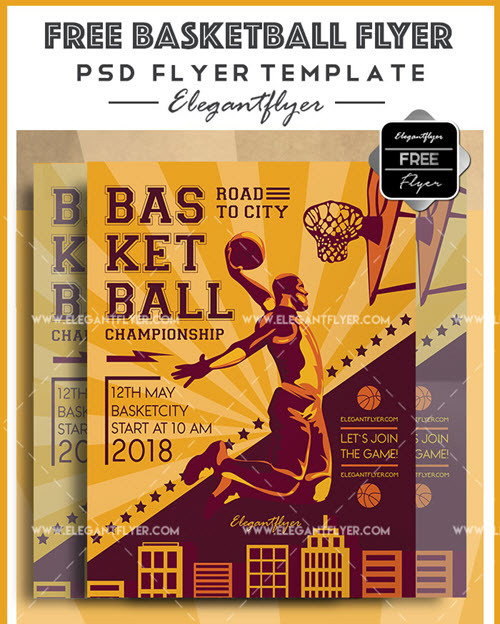 Add a touch of creativity to your sports flyer design using our exclusively designed 26 free vector sports icons. 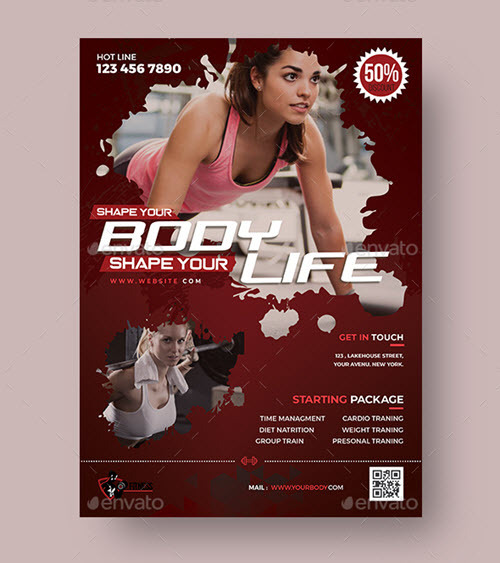 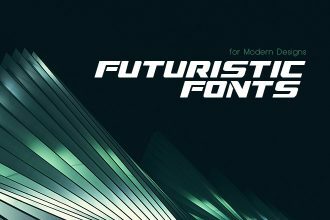 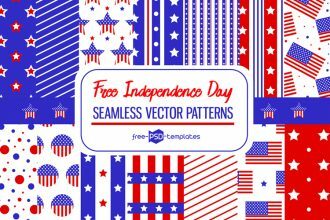 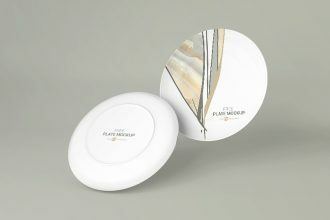 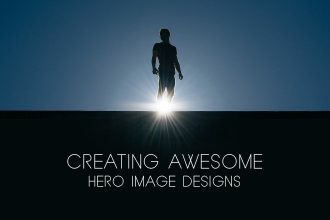 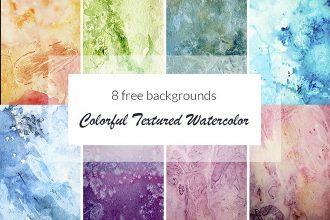 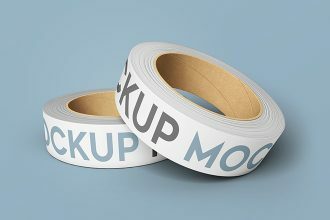 We also offer a wide range of free graphics collections and elements for all kinds of design projects. 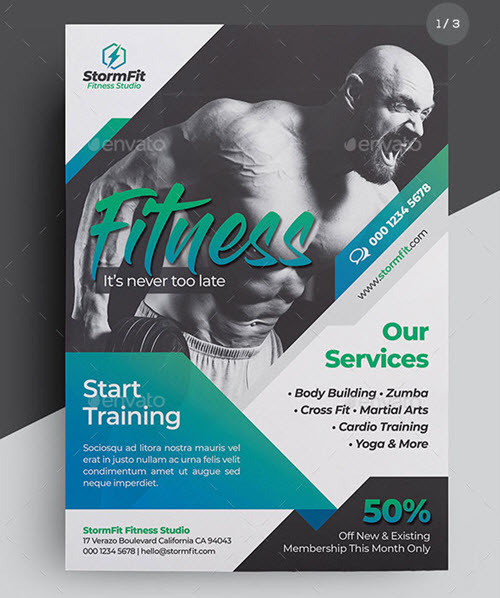 Hope that one of the below-listed flyer PSD templates will help you bring all your business ideas and promotional goals into life. 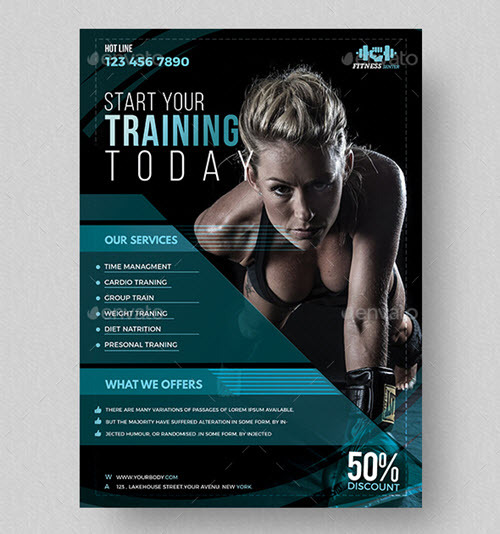 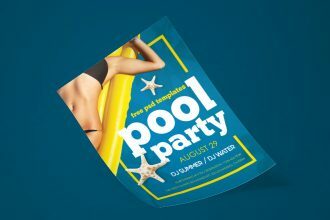 Increase your business profit and sales using our free printable PSD templates effective advertising materials.